Pioneers in the industry, we offer potato peeling machine, potato peeling machine for food industry and potato chips dryer from India. By utilizing our years of experience, we bring forth a qualitative array of Potato Peeling Machine that is used to peel the skin of potatoes in a faster way. 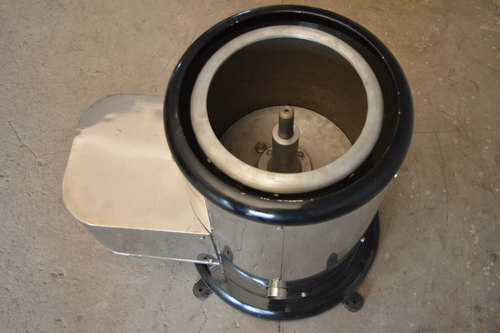 Use for peeling the raw potato, with the help of special emery lining inside the feeder, Our peeler is designed aesthetically and is used to peel the skin of potatoes in a faster way. Our potato peeler leads to minimum peel loss and for better peeling and continuous flow of water in the drum helps to carry away the waste from the drainage pipe. The drum storage capacity 6 to 8 kg. potatoes. Keeping in the mind different needs of our clients, we are offering premium quality Potato Peeling Machine For Food Industry that is used for peeling potatoes in an effective manner. Our offered peeling machine is manufactured using superior quality components and innovative technology in line with industry norms. Furthermore, this peeling machine is available in variegated specifications and sizes as per the requirements of our clients. 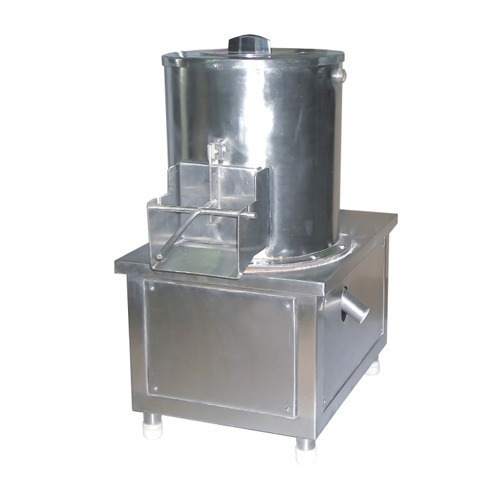 We are offering a wide range of Potato Chips Dryer. Looking for “Potato Peeling Machine”?